Chroma Zenit Circadian Lighting has been documented in several research projects. At the same time we work systematically with user surveys and practice evidence from more than 100 hospitals, psychiatric wards and nursing homes. As circadian rhythm experts, we are able to provide competent advice at all times and provide our customers with an optimal, evidence-based solution. The unit of clinical apoplexy at Rigshospitalet Glostrup have conducted research on Chroma Zenit Circadian Lighting since 2013. The research was conducted on 90 patients that was hospitalised for rehabilitation for more than two weeks. The research project looks at factors such as fatigue, sleep, depression, anxiety, restitution, circadian rhythm markers, cognitive performance etc. Reduced Depression – Read more here or watch a news clip here (Danish). Reduced Fatigue – Read more here (Danish). The Danish Medical Journal has also published the results – Read more here (Danish). 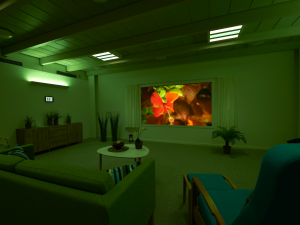 Neurointensive care unit at Aarhus University Hospital have researched the effects of Chroma Zenit Circadian Lighting since 2013 – as part of a holistic treatment with both light, sound, information screens and observation. The effect is being documented on factors such as sleep, agitation, memory, time at the hospital and the results are expected in 2018. Read more about the project here (Danish). The preliminary observations in relation to the effect of Chromaviso Circadian Lighting are that the patients are more calm at night, less agitated and that the different light settings, without the white light, mean that the patient is disturbed minimally and not woken while the staff perform their care tasks near the patient at all hours. The two units at Rigshospitalet and Aarhus University Hospital have cooperated on a study documenting the effects of Chroma Zenit Circadian Lighting on the staff. Nurses with changing shifts were examined in relation to circadian lighting and the study showed that circadian lighting has a positive effect on sleep, rest and work environment. The results were published in May 2018 at the National Neuroconference – Read more here (Danish). In this news clip you can see and hear more about the research and the first indications – Watch the news clip here (Danish). The staff express that they are less tired when they are working and they have more energy. The project called ROOM-LIGHT is led by Clinical Associate Research Professor and Psychiatrist, Klaus Martiny, Rigshospitalet and is an interdisciplinary collaboration between clinicians, researchers and lighting experts. The purpose is to develop and document a therapeutic lighting concept which should improve the treatment for patients who are hospitalized with depression in relation to factors such as: hospitalization, medicine consumption, a faster recovery, depression, sleep, tolerability. The project has won the UNESCO Year of Light Award for being the most innovative and promising project. 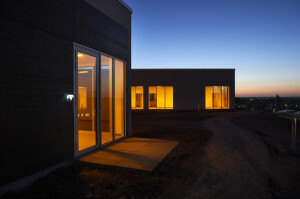 The project is based on a preliminary study documenting a clear connection between hospitalization and sunlight. 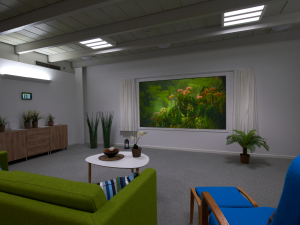 The project, called Lightel, is a clinically controlled room at Albertshøj Care Center. The effect of Chroma Zenit Circadian Lighting is investigated compared to health, sleep, mobility etc. The study builds on the knowledge developed by, among others, Rigshospitalet. CoLab Recovery & Rehab and Region of Southern Denmark prepared the report. 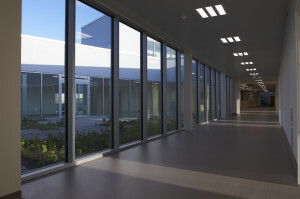 It is an overall assessment of circadian lighting on the region’s three psychiatric wards with circadian lighting – supplied by different vendors. The purpose of the report is to identify the perceived impact of circadian lighting on the staff and the patients and explain the overall experience, both at each hospital and across hospitals. 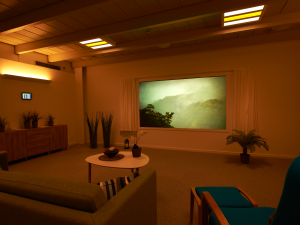 Both staff and patients estimate that Chroma Zenit Circadian Lighting has an effect according to enhancing the natural circadian rhythm and sleep quality, it is comfortable to be in, it creates more calmness and a cozy atmosphere in the evening. The installation at Aabenraa by Chromaviso is praised for the implementation, the high level of satisfaction and effect on sleep and well-being. The blue-free light of Chromaviso is recommended because of its positive effect on sleep, light quality and color rendering. The report is available on the Region of Southern Denmark Website – Read more here (Danish). This news clip sums up the project. It is filmed in Aabenraa – Watch the news clip here (Danish). Read more about the research here (Danish). 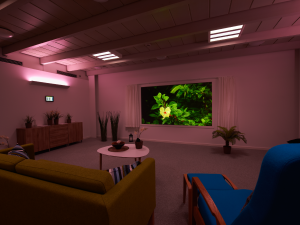 Sønderskovhus Nursing Home have installed Chroma Zenit Circadian Lighting from Chromaviso in 12 assisted living facilities, dining room, living room and several activity rooms. A user survey was completed by the staff, who work in the circadian lighting on a regular basis, in April 2016. The employees are very satisfied with the lighting, and would recommend it. They have more energy, feel more calmness and are less tired. The various lighting settings provides a great value. The employees use the different settings very often to calm down restless residents and to create a safe atmosphere. Positive effect on the residents. The employees have experienced an effect on the residents on factors such as less aggression, less wandering about at night, better sleep, more appetite and more energy. User friendly operation – in all rooms. The employees say that the operation is easy to use, and that it is important for them that the light can be operated from all rooms. The night light is positive. The night shifts experience the night light positively, they can see well in the light, they can read and write, it is pleasant to be in, it creates a safe and calm atmosphere and often leads to people lowering their voices. 2 out of 3 feels it is easier to fall asleep after night shift.